As a kid, one of my favorite comics was the Justice League. 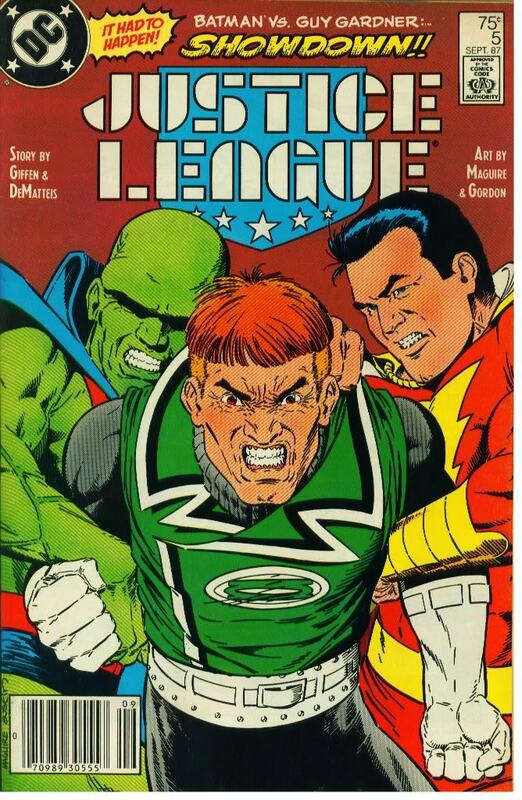 And my favorite issue has to be #5, the Showdown between Batman & Guy Gardner. At Justice League headquarters, Gardner confronts Batman again about giving leadership of the team over to Gardner. Batman provokes Gardner to fight him. 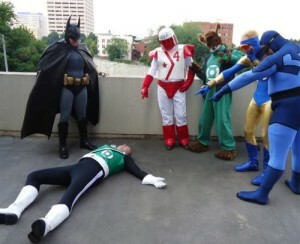 Gardner removes his power ring, lunges at Batman, and is knocked out by a single punch from the Dark Knight. With Gardner sleeping on the floor and out of the way, they attempt to commence with their meeting. Back in February of 2013, while searching for images of my All-Time favorite Green Lantern G’nort (in re-enactment picture), I found this picture of a Cosplay reenactment of the One Punch Knock-Out of Guy Gardner by Batman!